"FRESH EVIDENCE IN THE FORM OF NEW MEDICAL EVIDENCE IS NOW AVAILABLE WHICH ESTABLISHES THAT THE DECEASED BABY, GAUROV KUMAR, LIKELY DIED FROM ACCIDENTAL OR NATURAL CAUSES AND SHOULD BE ADMITTED INTO EVIDENCE ON APPEAL;"
Dinesh Kumar's fight for exoneration after sixteen years is now before the Ontario Court of Appeal. To its credit, the Ontario Government has agreed that the appeal has merit - and has not put any obstacles in its way. To this writer's knowledge, at the moment more than a dozen cases involving Dr. Charles Smith have been filed in the Ontario Court of Appeal. 0: There was no absence of due diligence on the part of the defence at trial. 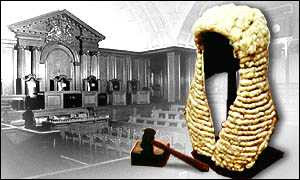 (0) The fresh evidence is such that to sustain the Appellant’s conviction would amount to a miscarriage of justice. In a nutshell, he is asking the Court to admit the fresh evidence, grant leave to withdraw his plea of guilty should be granted, quash the conviction, and enter a verdict of acquittal. A date has not yet been set for the appeal. "THE ORIGINAL TRIAL WAS BASED ON CONFLICTING MEDICAL OPINION AND CHARACTER ASSASSINATION. THE RETRIAL PRESENTED FRESH MEDICAL EVIDENCE WHICH THE JURY ACCEPTED - THIS NEW EVIDENCE (A RARE BUT NATURALLY OCCURRING CONDITION) CERTAINLY MADE MORE SENSE THAN FORCE FEEDING A 3 YEAR OLD CHILD WITH SALT WITHOUT LEAVING ANY MARKS OR BRUISES." Their account is not lengthy. It does, however, get to the heart of what happened through their eyes. "This case was so very complex that, to make any rash judgements based on the limited media coverage would be foolhardy," the couple explained. "It was presented before a jury who heard the full facts - and based on that evidence found us not guilty," they continued.
" The original trial was based on conflicting medical opinion and character assassination. The retrial presented fresh medical evidence which the jury accepted - this new evidence (a rare but naturally occurring condition) certainly made more sense than force feeding a 3 year old child with salt without leaving any marks or bruises. Christian was diagnosed with "water on the brain" as a baby - a factor which cannot be ignored. Then there were the subscalp bruises which were dated as less than 2 days old, whilst Christian was in hospital for 4 days!! And of course we have the treating doctor who became a self proclaimed expert following some Internet research - surely a conflict of interest! This prosecution was engineered by "hired guns" who got it wrong!" DR. SMITH FOUND EXTENSIVE HEMORRHAGING WITHIN THE BRAIN, BEHIND BOTH RETINAS AND AROUND THE SPINAL CORD. IT WAS HIS OPINION BASED ON A GREAT DEAL OF EXPERTISE THAT THESE CRITICAL MEDICAL ABNORMALITIES HAD ALL THE EARMARKS OF INJURIES SUSTAINED AFTER AN EPISODE OF “SHAKEN BABY SYNDROME”. THIS CONDITION OCCURS WHEN AN INFANT IS PICKED UP AND SHAKEN VIOLENTLY. BECAUSE OF UNDER-DEVELOPED MUSCLES IN THE NECK AND SPINAL AREAS, THE INFANT’S HEAD IS WHIPLASHED UNCONTROLLABLY AND THE BRAIN IS LITERALLY “PING-PONGED” WITHIN THE SKULL. THIS TRAUMA LEADS TO HEMORRHAGING WHICH, IN TURN, LEADS TO BRAIN SWELLING AND DIRE CONSEQUENCES, I.E. DEATH. AFTER THE POST MORTEM EXAMINATION, DR. SMITH CONDUCTED FURTHER TESTS TO CLARIFY HIS INITIAL DIAGNOSES AND AT THE SAME TIME RULE OUT ANY OTHER POSSIBLE ANATOMICAL CAUSE(S) FOR THE INJURIES. AFTER CONDUCTING THE TESTS, DR. SMITH SOLIDIFIED HIS PREVIOUS OPINION BY DECLARING THAT THE INJURIES WERE DEFINITELY NOT ACCIDENTAL IN NATURE AND BECAUSE OF THE ABSENCE OF EXTERNAL TRAUMA, THE INJURIES WERE CONSISTENT WITH HIS PREVIOUS FINDINGS, TO WIT: “SHAKEN BABY SYNDROME”. HE EVEN TOOK IT ONE STEP FURTHER AND EXPLAINED THAT THE DAMAGE PRESENT WAS PROBABLY THE RESULT OF CONTINUOUS SHAKING AS OPPOSED TO A SINGLE VIOLENT SHAKE. DR. SMITH WAS UNABLE TO PINPOINT THE EXACT TIME THE INJURIES OCCURRED BASED ON PATHOLOGICAL EXAMINATION BUT SURMISED THAT A BABY WITH SUCH CRITICAL INJURIES WOULD BE UNABLE TO FEED NORMALLY AS REPORTED BY THE ACCUSED IN ALL HIS STATEMENTS TO BOTH MEDICAL AND POLICE PERSONNEL. THEREFORE, IT IS HIS CONTENTION THAT THE INJURIES MUST HAVE BEEN INFLICTED DURING THE TIME FRAME BETWEEN THE LAST FEEDING AT 12:30 A.M., AND THE TIME THE 911 CALL WAS PLACED. DURING THIS CRUCIAL PERIOD THE ACCUSED WAS THE ONLY PERSON TO HAVE EXCLUSIVE CONTROL OF THE INFANT AND THEREFORE THE ONLY PERSON WITH EXCLUSIVE OPPORTUNITY TO CAUSE THE CRITICAL INJURIES TO THE CHILD." "DR. SMITH’S CONCLUSIONS WERE ENDORSED BY DR. DIRK HUYER, A PHYSICIAN WHO WAS A MEMBER OF THE SUSPECTED CHILD ABUSE AND NEGLECT PROGRAM (THE SCAN UNIT) AT THE HOSPITAL FOR SICK CHILDREN. DR. HUYER REPORTED AS FOLLOWS: IN SUMMARY, THE CLINICAL DIAGNOSIS IN THIS CHILD WAS MOST LIKELY SHAKEN BABY SYNDROME. DR. MCGREAL, THE STAFF NEUROLOGIST INVOLVED IN THE CHILD’S CARE AGREED WITH THIS DIAGNOSIS. PRELIMINARY AUTOPSY RESULTS ARE CONSISTENT WITH THIS DIAGNOSIS. IT IS A VERY CONCERNING INJURY AND TYPICALLY RESULTS FROM VIOLENT NOTICEABLE SHAKING OF THE CHILD. NO HISTORY OF SHAKING WAS PROVIDED AND SHAKING WAS DENIED ON DIRECT QUESTIONING. THE LACK OF HISTORY TO EXPLAIN THE CLINICAL DIAGNOSIS IS VERY CONCERNING AND COUPLED WITH THE KNOWN MECHANISM IS VERY SUGGESTIVE OF NON-ACCIDENTAL INJURY." "THIS CASE ILLUSTRATES THAT NOT ONLY DID DR. SMITH MAKE A DIAGNOSIS OF HEAD INJURY WITH OPINIONS ON CAUSATION THAT WOULD NOW BE CHALLENGED, BUT THE CLINICIANS INVOLVED IN THE MANAGEMENT ALSO HAD SIMILAR VIEWS." "DR. MICHAEL POLLANEN, THE CHIEF FORENSIC PATHOLOGIST FOR THE PROVINCE OF ONTARIO, REVIEWED ALL THE CASES REPORTED ON BY THE EXTERNAL REVIEWERS INCLUDING GAUROV’S CASE. HE MADE THE FURTHER OBSERVATION IN GAUROV’S CASE THAT THE TRIAD OF FINDINGS (SUBDURAL HAEMORRHAGE, RETINAL HAEMORRHAGES AND BRAIN SWELLING) EMPHASIZED BY THOSE PATHOLOGISTS WHO BELIEVED IN THE SHAKEN BABY SYNDROME CONCEPT, AND VIEWED AS A PRE-REQUISITE TO A SHAKEN BABY SYNDROME DIAGNOSIS, DID NOT APPARENTLY EXIST IN GAUROV’S CASE." Dr. Charles Smith, and Dr. Dirk Huyer, former Head of the Hospital For Sick Children SCAN Team, insisted in unequivocal language that Gaurov's tragic death showed all of the signs of Shaken Baby Syndrome. "Professor Helen Whitwell, from England, was the external reviewing forensic pathologist in Gaurov’s case. She has particular expertise in cases of infants who have died from head injuries, including the so-called Shaken Baby Syndrome, and has published widely in the field. In her Autopsy Report Review Form of December 5, 2006, a standardized document that the external reviewers were requested to provide, she concluded that the cause of death provided by Dr. Smith was, in 1992, in conformity with accepted opinions of “most pathologists and, certainly, clinicians” but would not be the current opinion of most pathologists from the United Kingdom in 2006. If I was reviewing this case as per Goldsmith Review (Attorney General U.K.), it is highly likely this case would have been referred to the CCRC [Criminal Cases Review Commission]/Court of Appeal. 30. On May 31, the Applicant was contacted by counsel for the Association in Defence of the Wrongly Convicted (AIDWYC). He was living at 99 Blackwell Avenue in Scarborough with his wife and their son Saurob. He immediately authorized AIDWYC to pursue his case. 31. Since then, a number of documents have been retrieved on the case from the Applicant’s trial counsel, the Respondent, Scarborough Centenary Hospital, the Hospital for Sick Children, the Chief Coroner’s Office and other sources. As well, an extremely helpful overview of the case was prepared by Commission Counsel at the Goudge Inquiry in the form of an Overview Report. 32. Professor Whitwell produced a more complete Medico-Legal Report Relating to the Death of Gaurov Kumar for the Goudge Inquiry. The male infant was 5 weeks old at the time of death. He had old subdural haematomas. It is now recognized that subdural bleeding may occur in a proportion of normal as well as assisted deliveries. In addition there were areas of fresh bleeding. This raises the issue of whether or not re-bleeding can occur in the background of chronic subdural haematomas. This is a contentious and debated issue. Furthermore it is unclear as to how much force – if any – may be necessary [for re-bleeding to occur]. It is unclear as to how much resuscitation was undertaken by the father. He denied shaking. 1. The understanding of infant head injury has evolved over the last 10-15 years. This includes issues such as degree of force, low level falls and the etiology of subdural haemorrhages in the very young. At the time of this case – 1992 – the common prevailing view was similar to that of Dr. Smith, with clinicians in particular holding these opinions. The expressed opinions of Dr. Smith and the clinicians were conventional for the time. However, these opinions would be subject to challenge in view of the advances of medical knowledge. This case illustrates that not only did Dr. Smith make a diagnosis of head injury with opinions on causation that would now be challenged, but the clinicians involved in the management also had similar views. 2. Dr. Smith’s descriptive report was detailed. No opinion as to the mechanism involved in the causation of the head injury or discussion relating to the findings was included in the report. I do note, however, that Dr. Smith in a meeting on June 26, 1992 (notes included in the police report) indicated that the injuries were definitely non-accidental in nature and the injuries were consistent with previous shaken baby syndrome. He also comments that the damage was probably the result of continuous shaking as opposed to a single violent shake. These comments are without scientific basis. However, the clinicians at this time would probably have expressed similar views. 33. Dr. Michael Pollanen, the Chief Forensic Pathologist for the Province of Ontario, reviewed all the cases reported on by the external reviewers including Gaurov’s case. He made the further observation in Gaurov’s case that the triad of findings (subdural haemorrhage, retinal haemorrhages and brain swelling) emphasized by those pathologists who believed in the Shaken Baby Syndrome concept, and viewed as a pre-requisite to a Shaken Baby Syndrome diagnosis, did not apparently exist in Gaurov’s case. This was because when Gaurov was first examined at the Centenary Hospital, no retinal haemorrhages were present. Gaurov: Shaken baby syndrom was diagnosed based on the presence of the triad (subdural hemorrhage, retinal hemorrhage and hypoxic encephalopathy) at autopsy. However, the first fundoscopic examination (presumably prior to significant brain swelling) failed to reveal retinal hemorrhages. The two possibilities are: the retinal hemorrhages were missed on the first examination, or the retinal hemorrhages developed later and are not indicative of shaking injury. This creates a doubt about the diagnosis of shaken baby syndrome. … apropos of the results of the Smith and the Goldsmith reviews, there is a reasonable basis to believe that problems could exist with other fatal infant head injury cases including cases certified as Shaken Baby Syndrome. Q. … if we assume that the admitting physician was right in his observation of an absence of hemorrhaging in the eyes, then that sort of inevitably leads to – back to Lorraine Harris’ case, you might say, insofar that would surely indicate that there must be something other than shaking that caused the hemorrhaging of the eyes? Q. So the hemorrhaging of the eyes, in a sense you could use Gaurov’s case as – as a precedent for future literature explorations of whether the triad is in fact caused by shaking in the first place. A. Well it does – yes. I mean it – if – if the assumption is that retinal hemorrhages are caused by trauma, i.e shaking, and they’re not there on admission, then what – one looks at other potential explanations, such as brain swelling. Q. And so in Gaurov’s case, whilst we have – the preexisting condition may have been responsible for what ultimately caused Gaurov’s death, beyond that, potentially, as Dr. Pollanen has pointed out, we don’t even seem to have the triad in the first place. "Epidural hemorrhage, acute at the spinal cord, subdural hemorrhage, acute, of the frontal convexity, flax cerebri, tentorium cerebelli, optic nerves right and left and spinal cord, subdural hemorrhage, old, focal of the occipital lobe, tentorium cerebelli, and cervical cord, subarachnoid hemorrhage, acute, focal of the basal cistern optic nerves, right and left, retinol hemorrhages, acute, right and left, cerebral edema, and hypoxic ischemic encephalopathy." What is the issue that's -- that's raised in this case, if I might ask you that directly? A. Well, the issue raised in this case is the infant was five (5) weeks old. There's evidence of old subdural bleeding and the issue is could that have resulted from birth? And then the potentially subsequent rebleeding occurred either with or without trauma. Q. All right. And I want to get to the re-bleeding issue in a moment, but before we do, when Dr. Smith was expressing his opinions on this case back in 1992, was the issue of re-bleeding front and centre within the forensic pathology community? A. It was recognized that in some -- in cases of suspected or in cases of infant head injury, that you could see evidence that previous bleeding. The -- how -- whether or not that could occur -- sorry, of older bleeding. I'm sorry. But in fairness, the issue of the potential for re-bleeding in the background, for example, birth injury with older collections, was assumed not to occur. So it was assumed that there had been another traumatic -- there would have had to be another traumatic event or another event. Q. All right. And how, if at all, has the state of science either developed in terms of either another controversy or something more that's known about -- about this issue since 1992? A. Well firstly there has been mainly radiological work done on normal deliveries. In fact screening of babies when they're born, which does demonstrate a proportion of them, in both normal and abnormal deliveries, may have subdural bleeding. Q. - - as a birth injury? Q. All right. Go on please. A. Now what isn't known because the studies of which there are few, have only been done in the last two or three years, is how long the evidence of subdural bleeding can remain. And the issue of whether or not re- bleeding can occur in the background of older bleeding without trauma. Q. All right. So the issue that's being raised, as I understand it, is whether or not -- and perhaps it's the wrong terminology to say spontaneously, but whether or not old bleeds in effect can re-bleed without the intervention of trauma? Commissioner: How would they start if it wasn’t for an intervening event? A. Because in older hematomas or older collections you’ve got tiny blood vessels which are quite thin walled. Commissioner: Sorry, I just - - I’m interested in the medicine, Dr. Whitwell. If an older child suffers a bleed like this, does it run the risk of a re-bleed within, say, four weeks? Injury, say, based on trauma, a blow? Commissioner: Infants older than four weeks like? A. Yes. And, I’m, with evidence of subdural hematomas and brain damage, and rebleeding has occurred whilst in the hospital was spontaneous. Commissioner: Right. So it’s not something that is unique to newborns. Commissioner: Yeah, well that would cause the original bleed. "THE SYSTEM’S SECOND MISTAKE IS ITS FAILURE TO ASK WHETHER A CRIME TOOK PLACE. THE ATTORNEY-GENERAL SHOULD SPARE TIME TO READ THE NOTES OF THE ORIGINAL MEETING OF THE EXPERTS, CHAIRED BY THE CROWN’S JUNIOR BARRISTER, ANDREW LOCKHART, BEFORE THE FIRST TRIAL OF THE GAYS. NOWHERE DOES ANYONE ASK, “ARE WE ABSOLUTELY CERTAIN THAT WE HAVE PROPERLY RULED OUT NATURAL CAUSES?” INSTEAD, FOUL PLAY WAS ASSUMED." "AT THE FIRST TRIAL, THE CROWN’S LEAD EXPERT ON SALT-POISONING WAS PROFESSOR GEORGE HAYCOCK OF GUY’S HOSPITAL. HE DID THE CALCULATIONS THAT SAID THE GAYS MUST HAVE POISONED CHRISTIAN WITH 4 TEASPOONS OF SALT. THE GAYS WERE CONVICTED." Investigative reporter John Sweeney has helped expose several of the British miscarriages of justice in which mothers have been convicted of killing their children because of the involvement of Dr. Roy Meadow in their case. Wikipedia describes Sweeney as an award-winning journalist and author, currently working as an investigative journalist for the BBC's Panorama series. "John Sweeney spent four years investigating the cases of Sally Clark, Angela Cannings and Donna Anthony, three women who had been falsely imprisoned for killing their children," notes Wikipedia. "Sweeney's investigation helped to clear their names, and lead to Sir Roy Meadow, the expert witness whose testimony had proved decisive in their convictions, being temporarily struck off the General Medical Council's medical register." ‘Sweeney's story, published in the Sunday Times on March 4, 2007, under the heading "Child killers’ and legal lunacy," is, in this Bloggist's humble view, a masterpiece. "Accused. Tried. Convicted. Imprisoned. Freed. Accused. Tried. Acquitted," the story begins. (I wish I could have come up with a "lead" like that! "Angela and Ian Gay know the inside of the British criminal justice system better than most," it continues. "Their four-year agony stopped on Friday when a jury in Nottingham found them not guilty of poisoning with salt Christian Blewitt, the blond-haired little boy they were in the middle of adopting. Five million quid down the drain, a trial, an appeal and a second trial later, we all know that Angela and Ian are innocent. They didn’t torture their little boy by force-feeding him with 4 teaspoons of salt. Instead, the jury opted for natural causes — accepting the defence argument that there was something wrong with Christian. Specifically, that the bit of the brain that regulates the salt-water balance in the body, the osmostat, was faulty. Christian was like a diabetic who suffers a coma and dies, only it wasn’t his blood sugar levels but his salt-water balance that went haywire. Since his death in 2002, the police, the Crown Prosecution Service (CPS) and then the prisoners that tormented the couple as child killers when they were banged up have all made a false assumption that it was deliberate salt-poisoning. I tested that assumption myself by drinking a pint of water with 4 teaspoons of salt in it — and threw up immediately. Because I was making a film for Newsnight, I had to do it five times, mid-shot, close-up, long shot, and each time I vomited. Salt’s an emetic. At no time has anyone ever explained how the Gays got nature’s No 1 sick-making substance down the throat of a three-year-old. Now it is the turn of the system that twice accused the Gays to account for its actions. The defences are already in: the police did their duty to investigate allegations of child abuse; the CPS say they were right to prosecute, twice. The system is so driven by a terror of letting another Victoria Climbié tragedy happen that it repeatedly prosecutes innocents on junk evidence. The system’s first mistake is its failure to learn. We’ve been here before: Sally Clark, Angela Cannings and Donna Anthony were all falsely accused of child murder on the basis of flawed evidence. The man who gave evidence in those disastrous trials, Professor Sir Roy Meadow, wrote the seminal paper on salt-poisoning. Meadow did not give evidence in the trials of the Gays, but he laid the intellectual groundwork for the prosecutions. His paper on salt-poisoning, like his work on cot deaths, is dross. Jean Golding, professor of epidemiology at Bristol University, has compared Meadow’s scientific method to “stamp-collecting”. The system’s second mistake is its failure to ask whether a crime took place. The attorney-general should spare time to read the notes of the original meeting of the experts, chaired by the crown’s junior barrister, Andrew Lockhart, before the first trial of the Gays. Instead, foul play was assumed. When a baby or a young child dies, the same logic applies. Common sense, backed by government statistics, tells you that the great majority of infant deaths happen by natural causes. The system’s third mistake is to overvalue expert witnesses as demigods and write off friends and family as irrelevant. At the first trial, the crown’s lead expert on salt-poisoning was Professor George Haycock of Guy’s hospital. He did the calculations that said the Gays must have poisoned Christian with 4 teaspoons of salt. The Gays were convicted. Enter Dr Glyn Walters, a retired chemical pathologist. He is an oldie with two hearing aids, but cross him at your peril. His calculations said: natural causes, a faulty or reset osmostat. Haycock told the Court of Appeal that he couldn’t knock down Walters’s numbers. The Gays were freed — but then told by the court that they had to face a retrial. At no time did the crown ever put any weight on the good character of the Gays and their families. I got to know all of them a little after they were freed from prison. Their families are all patently good people. Ian and Angela are gentle and caring. She lost her womb to cancer when she was 16. That’s why they wanted to adopt. How could it be that the expert Professor Haycock was relied upon so heavily at the first trial but dropped by the prosecution for the second? Meanwhile, the views of a score of the Gays’ family and friends were discounted at both trials. Could it be that one is a middle-class professor and the rest people with Black Country accents? When a child dies of abuse, and the authorities have been judged to have bungled, all hell is let loose. A public inquiry often follows. But when the opposite wrong happens — a child dies of natural causes and their parents (natural or adopted) are falsely accused — nothing much takes place. So long as the system remains convinced that it hasn’t done anything wrong, we can be pretty confident that someone else will end up in prison for a crime that never happened." "MOST OF THE CHILDREN SUFFERED REPETITIVE POISONING BEFORE DETECTION. THE PERPETRATOR WAS BELIEVED TO THE MOTHER FOR 10 CHILDREN, THE FATHER FOR ONE, AND EITHER PARENT FOR ONE. FOUR CHILDREN HAD SERUM SODIUM CONCENTRATIONS ABOVE 200 MMOL/L." However public officials decide the couple has murdered the child by feeding him an overdose of salt. They rely on the writings of a famed physician whose research indicates that there have been multiple cases of murder in which the murder weapon is salt. Thanks to his brilliance society can convict such treacherous parents and avert the perfect crime. This happened to an English couple named Ian and Angela Gay. The physician is Dr Roy Meadow whose research has led to other innocent parents and caregivers being charged with killing children. "In the 2005 trial of Ian and Angela Gay over the death of their adopted son Christian, the prosecution relied heavily upon Meadow's 1993 paper "Non-accidental salt poisoning", citing it many times throughout the trial," the account begins. "The judge also referred to the paper citing it five times during his summing up" it continues. "Ian and Angela Gay were found guilty of manslaughter and spent 15 months in prison before their convictions were quashed. In interviews for BBC Radio 4's File on 4 programme, Professor Jean Golding and Professor Ashley Grossman both questioned the reliability of the Meadow paper. The naturally occurring condition diabetes insipidus was suggested as a more likely cause of an elevated salt level than deliberate salt poisoning." Also consider the following abstract of an article by Dr. Meadow of the Department of Pediatrics and Child Health, St. James University Hospital, Leeds, entitled ""Non-accidental salt poisoning;"
"The clinical features of 12 children who incurred non-accidental salt poisoning are reported," the abstract, published in Archives of Disease in Childhood, Volume 68, begins. Four children had serum sodium concentrations above 200 mmol/l. Seven children had incurred other fabricated illness, drug ingestion, physical abuse, or failure to thrive/neglect. 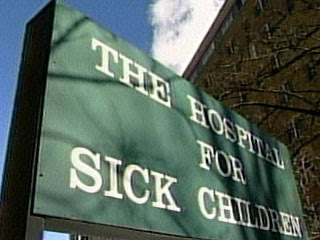 Two children died; the other 10 remained healthy in alternative care. Features are described that should lead to earlier detection of salt poisoning; the importance of checking urine sodium excretion, whenever hypernatraemia occurs, is stressed." ACCORDING TO MR. GORRELL, THE APPLICANT MAINTAINED HIS INNOCENCE FROM THE OUTSET OF HIS CASE, UNTIL THE VERY POINT HE ATTENDED MR. GORRELL’S OFFICE TO PROVIDE HIM WITH WRITTEN INSTRUCTIONS TO THE CONTRARY, AND TO ACCEPT THE CROWN’S OFFER. THE APPLICANT HAD PREVIOUSLY DENIED ANY INVOLVEMENT IN HIS SON’S DEATH IN ALL OF HIS INTERVIEWS WITH THE POLICE, AND IN ALL OF HIS CONSULTATIONS WITH MR. GORRELL AND MR. KISSOON, WHO ALSO WORKED ON THE FILE. THIS WAS A MAN WITH NO RECORD – A NEW IMMIGRANT TO THIS COUNTRY, A WIFE WITH A BRAIN TUMOR, A JOB. HE WAS A CONTRIBUTING MEMBER OF SOCIETY, AND ALL OF A SUDDEN AN ATOMIC BOMB GOES OFF IN HIS LIFE – MURDER 2. YOU HAVE TO TELL HIM BECAUSE THEY ALWAYS ASK, WHAT’S THE PENALTY, AND YOU SAY, LIFE WITH A MINIMUM PENALTY OF TEN YEARS – TEN YEARS…HIS WHOLE LIFE WOULD BE SHATTERED. JUST TO CONTINUE WITH THIS, WHAT – I SAID, MY HEART WENT OUT TO GAUROV’S FATHER. I DON’T KNOW HOW I’D – I’D ACT IN THIS SITUATION IF I HAD SOMEONE LIKE MR. STRUTHERS (SIC) SAYING WELL, YOU CAN GET 90 DAYS ON WEEKENDS. AFTER REMISSION, THAT’S 60 DAYS. THAT’S A MAXIMUM OF 15 WEEKENDS. THE MIMICO JAIL IS JAMMED, SO YOU’LL WIND UP DOING ONLY THREE OR FOUR OR FIVE. YOU CAN DO THAT, OR YOU CAN SIT IN THE COURTROOM AND BE JUDGED BY EVERYBODY WITH A RISK, WITH CHARLES SMITH UP THERE WITH A MANTLE OF SICK KIDS ON HIS SHOULDER. YOU CAN GO TO JAIL. YOU CAN GO TO JAIL ON MANSLAUGHTER. ACCORDING TO MR. GORRELL, THE APPLICANT WAS UNDER ENORMOUS STRESS, HAVING JUST MOVED TO CANADA, BEING UNABLE TO SPEAK ENGLISH, TRYING TO HOLD A NEW JOB TO SUPPORT HIS FAMILY, CARING FOR HIS EXTREMELY ILL WIFE, AND DEALING WITH THE TRAGIC DEATH OF ONE SON AND SUBSEQUENT APPREHENSION BY CHILDREN’S AID OF THE OTHER. MR. GORRELL BELIEVES THAT ONE OF THE MAIN REASONS THE APPLICANT PLED GUILTY MAY HAVE BEEN TO ENSURE THAT HIS FAMILY COULD REMAIN TOGETHER, AND TO AVOID LOSING CUSTODY OF HIS SURVIVING SON FOREVER. This post is dedicated to Gaurov's Father and his family. I hope it will be read by every member of his community so that each and every member of that community will understand the cruel ordeal that Dinesh Kumar - this humble, loving man - was put through by the state and its agents at a time of personal struggle and loss. It was hard enough to be a newcomer to this country - new to its language, new to its institutions, new to its justice system - without being branded as a murderer and feeling pressured to plead guilty to a horrific crime he did not commit. All this at a time when he was torn with grief over the loss of a son and anxiety over a seriously ill wife. As will be seen, Mr. Kumar saw himself as a pariah in the eyes of his community - that same community that he should have been able to look to for consolation at that time of immeasurable loss. The least people can do now is to make an effort to understand what happened to Mr. Kumar and his family and give them the support and comfort they will always deserve. Earlier this week, the Ontario Court of Appeal made the extraordinary decision to allow Mr. Kumar to appeal the conviction - sixteen years after he felt compelled to plead guilty to avoid the risk of being convicted and jailed for life for murder because of the involvement of the then-revered Dr. Charles Smith in the case. "The Applicant was the father of two sons," the narrative portion of the affidavit begins. "He died five weeks later on March 20, 1992, after he had been found by his father limp and gasping for air two nights earlier. Dr. Charles Smith performed the autopsy on Gaurov, and concluded that Gaurov died as a result of “Shaken Baby Syndrome”. On June 29, 1992, the Applicant was charged with second degree murder. On December 3, 1992, he pleaded guilty to a new Information alleging Criminal Negligence Causing Death, and was sentenced to a 90 day term of imprisonment to be served intermittently, followed by two years probation. The charge of second degree murder was withdrawn. The Applicant duly served his sentence and completed his probation. The Applicant did not file an appeal of his conviction or sentence, and this application constitutes his first attempt to do so. 4. In the mid to late 1990s and up to the present day, medical opinions about the Shaken Baby Syndrome have changed, and medical research about it has continued to develop, such that in many cases its viability as a theory for a cause of death for an infant has come under challenge. Some medical experts have gone so far as to suggest that the condition of Shaken Baby Syndrome is a medical myth. Undoubtedly, there is now considerable debate about the diagnosis in some or all cases in which it has been put forward as a cause of death, and that debate has led to a number of Shaken Baby Syndrome convictions being quashed in the United Kingdom (see, for example, R. v. Harris  EWCA Crim. 1980 and R. v. Cannings  2 Cr.App.R. 7). The same debate was recently considered by the Wisconsin Court of Appeals in Wisconsin v. Edmunds; Jan. 31/2008, AP933. Included in the facts of the Edmunds case was the potential of a spontaneous re-bleeding of an older subdural hemorrhage having occurred to the deceased infant. This possibility also arises on the medical evidence in the Applicant’s case regarding Gaurov’s cause of death because his autopsy, too, revealed evidence of an older (birth) subdural hemorrhage. 5. The Applicant’s case came to the fore between 2006 and 2007 as a result of the Chief Coroner’s review of criminal suspicious and homicide cases, dating back to 1991, in which Dr. Charles Smith had performed an autopsy or provided an opinion. In Gaurov’s case, Dr. Smith had performed the autopsy and certified a shaken baby cause of death. In April 2007, the Chief Coroner announced that the Review had uncovered 20 cases in which a team of external reviewing pathologists had significant disagreements with Dr. Smith’s opinions. Gaurov’s case was one of these. Since then, the Goudge Inquiry has heard substantial testimony about Gaurov’s case, principally from Professor Helen Whitwell, a forensic pediatric pathologist from England, Dr. Michael Pollanen, the Chief Forensic Pathologist for the Province of Ontario, and David Gorrell, the Applicant’s lead counsel at his guilty plea in 1992. 6. The Applicant’s wife, Veena, immigrated to Canada in 1989 from India. She was joined in October, 1990 by the Applicant. They lived in a one bedroom apartment at 90 Tuxedo Court, Apartment 1009, in Scarborough, Ontario. They were landed immigrants when Gaurov died. 7. On October 9, 1990, the Applicant’s elder son, Saurob, was born in Toronto. Gaurov was born in Toronto on February 11, 1992. One day after Gaurov’s birth, his mother was diagnosed with a brain tumor. She was hospitalized for approximately one month and underwent major brain surgery during which the tumour was removed. She returned home to the Applicant and her first born son on March 13, 1992, five days prior to Gaurov’s death. During the period that the Applicant’s wife was in hospital, Gaurov was primarily cared for by her brother and his wife. The Applicant continued to work, and helped care for Gaurov and his brother after work. 8. The Applicant was, and has remained to the present day, the prime support for his family. At the time of Gaurov’s death in 1992, he was employed as a general labourer at a factory in the Scarborough area. Today, he is employed as a materials handler at a printing company in Markham. His wife works part time for a Temp Agency. Saurob is in Grade 12 at school. The Applicant’s wife and Saurob are now Canadian citizens. The Applicant never applied for citizenship for fear that his conviction for Gaurov’s death could come up if he did so. 9. On the night of Tuesday, March 17 to Wednesday, March 18, 1992, the Applicant put Gaurov, now 5 to 6 weeks old, in his crib at 9:00 p.m.
At midnight, Gaurov awoke and the Applicant fed him milk. After burping the baby, he put him back to sleep. At 1:00 a.m., Gaurov awoke, crying. The Applicant went to him and picked him up from his crib. Gaurov gasped, went limp, and began to turn blue. The Applicant, who had received some first aid training at school, attempted artificial respiration and mouth to mouth resuscitation on his infant son. He and his wife then called his wife’s brother who told them to call 911. They did so, and told the operator that Gaurov was not breathing. The Applicant continued his attempts to revive Gaurov. 10. Mrs. Kumar’s brother and sister-in-law arrived, as did emergency personnel. Emergency personnel then took over and administered first aid to Gaurov. 11. Gaurov was taken to Scarborough Centenary Hospital and his breathing was restored. Milk in his mouth was suctioned out, and more milk was aspirated from his stomach. The Applicant explained to the doctor as best he could (his English was poor) what had happened. Gaurov was diagnosed by Dr. Beaulieu as having suffered from Cardiorespiratory arrest secondary to choking spell. A secondary diagnosis was also provided: Anemia of unknown etiology, possible central nervous system haemorrhage. 12. Gaurov was transferred that same morning to the Hospital for Sick Children and put on life-support. On Friday, March 20, 1992, the life support was removed and Gaurov died. His brother Saurob was immediately apprehended by Children’s Aid. 13. The next day, March 21, 1992, Dr. Charles Smith conducted Gaurov’s autopsy at the Hospital for Sick Children. During this crucial period the accused was the only person to have exclusive control of the infant and therefore the only person with exclusive opportunity to cause the critical injuries to the child. Dr. Smith’s conclusions were endorsed by Dr. Dirk Huyer, a physician who was a member of the Suspected Child Abuse and Neglect Program (the SCAN unit) at the Hospital for Sick Children. In summary, the clinical diagnosis in this child was most likely Shaken Baby Syndrome. The lack of history to explain the clinical diagnosis is very concerning and coupled with the known mechanism is very suggestive of non-accidental injury. 14. On June 26, 1992, the Applicant was charged with second degree murder. He was released on bail on July 10, 1992. He was represented by Mr. David Gorrell and Mr. Dhaman Kissoon. Judge Ormston accepted a joint submission on sentence and sentenced the Applicant to 90 days imprisonment to be served intermittently, followed by two years probation. A transcript of the plea proceedings was sought by current counsel but is no longer available. Judge Ormston’s notes of the plea are also unavailable. 16. In May, 1993, the Applicant reunited with his elder son Saurob, and Saurob continues to live with his parents in Scarborough today. ● John Strothers, barrister and solicitor, who had between 1998 and 2001 represented a mother charged with murder after Dr. Smith had conducted an autopsy on her daughter and reported findings that she had died as a result of blunt head trauma. The charge had been stayed on the opening day of her trial. ● Bruce Hillyer, barrister and solicitor, who had between 1996 and 1999 represented a mother charged with murder after Dr. Smith had conducted an autopsy on her son and reported findings of suffocation and a fractured skull. The mother had, in essence, pleaded nolo contendere at her trial to a charge of Infanticide and been convicted accordingly. 18. Mr. Gorrell retained a hospital pathologist, Dr. Jay Naidoo of the Queensway General Hospital, to review Dr. Smith’s findings. Dr. Naidoo verbally advised Mr. Gorrell that he agreed with Dr. Smith’s conclusions, and consequently was not asked to provide a written report for counsel. 19. Mr. Gorrell recalls that immediately following the Applicant’s release, the assigned crown offered to consider a plea to criminal negligence causing death, with the possibility of no time in prison for the Applicant. Mr. Gorrell was taken by surprise, and given no explanation for the offer, which he says came out of the blue. After several meetings with Mr. Gorrell and several weeks considering his options, he recalls that the Applicant decided to accept the plea, for a sentence of 90 days to be served on weekends. 20. According to Mr. Gorrell, the Applicant maintained his innocence from the outset of his case, until the very point he attended Mr. Gorrell’s office to provide him with written instructions to the contrary, and to accept the Crown’s offer. I really didn’t think a murder was in the cards, but you can go to jail on a manslaughter. What decision would I make? I’m pretty sure I’d make the decision he made even if I were not guilty. But as his lawyer, I’m the only person in the whole scenario that doesn’t judge him. The police judge him when they charge him. The Crown judges him when they prosecute him. The Judge judges him, the jury judges him, the press judges him. When he says, I want to plead guilty, and I will sign on the dotted line, and I did it, I’m not going to tell him, no, sir, you’re going to face the trial and if you get eight years, that’s for the greater good of justice. I took his instructions and I – I would not be at all surprised, with the stress that man was under at the time, if he was doing it out of expediency. … this was a plea which I, if I had been in his position, would have accepted, guilty or not. Q. So you’d have been prepared to say you were guilty in order to accept the plea? A. And I wouldn’t second-guess a person who did… my job as a lawyer was to make sure that he knew exactly what he was charged with; knew his alternatives; knew his choices; and then make sure he’s unequivocal in what he instructs me to do. But I’m not his judge. I understand that if the matter went to trial, the Crown might be hard pressed to win a conviction on a charge of Second Degree murder, but would be far more likely to win a conviction on a charge of Manslaughter. The charge of Manslaughter carries no minimum punishment, but after a trial, I understand that if I were convicted of Manslaughter I would likely face a term of incarceration measured in years. It outlined the Crown’s offer of a plea to Manslaughter accompanied by a joint submission that he should not receive a prison sentence. I understand that for any plea bargain to be acceptable, I must be prepared to admit to you, my counsel, and to the court that through recklessness or otherwise, I caused the death of Gaurov Kumar. I understand that no one at this point is alleging that I intentionally set out to cause the death of the child, but only that I, by grievous error, did that. Addendum – I further understand that there may be immigration consequences, should I resolve the matter by way of plea bargain as aforesaid, and that you, my counsel, cannot offer any assurances that the Canadian Government will not take action to deport me as a result of this matter. However, I understand it is your opinion that I would have a good chance of successfully resisting deportation under the circumstances of this case. There was no signed copy of the Direction in Mr. Gorrell’s file. Presumably the final version was amended in some regards insofar as it did not reflect the eventual plea negotiated between Crown and defence and entered by the Applicant. 22. According to Mr. Gorrell, the Applicant was under enormous stress, having just moved to Canada, being unable to speak English, trying to hold a new job to support his family, caring for his extremely ill wife, and dealing with the tragic death of one son and subsequent apprehension by Children’s Aid of the other. Q. -- to enter a plea? A. -- there was a whole salad. Q. Because he’d get his other child back. Mr. Gorrell further noted that the Applicant ran the risk of deportation had he been convicted of second degree murder or manslaughter and he so advised the Applicant. 23. Looking back at what transpired in the Applicant’s case, Mr. Gorrell feels to this day that, given the alternative of life in jail, he would not second guess the Applicant’s decision to plead guilty. The case rested solely on two things: exclusive opportunity and the expert opinion of Dr. Smith. [The Applicant] was caught up in something bigger than himself, and we know about it. That’s why we’re all here… it was the early days. He was one of the pioneers in this particular situation and he was facing the problem first – or among the first. And had he attempted to assert his innocence, plead not guilty, put the Crown to the proof of its case, it could have been disastrous for him…I would have had to find pathologists who disagree with Dr. Smith. 24. Our office has also spoken with the Applicant’s second lawyer, Dhaman Kissoon, who was retained early on by the Applicant, and continued to represent him as junior counsel after asking David Gorrell to assist him on the case. Mr. Kissoon recalls that in each conversation he had with the Applicant, including after he was presented with the proposed resolution, he categorically denied any involvement in his son’s death. Mr. Kissoon recalls that the Applicant was extremely concerned about the welfare of his wife, who was still quite ill, and for his surviving son, and who would care for them if he was sent to jail. He also recalls that Detective Prisor, the lead investigator on the case, had promised not to “red flag” his file if he pleaded guilty to Criminal Negligence Causing Death, a consideration which would greatly reduce the likelihood of the Applicant being deported. 25. The Applicant himself states in his affidavit that, at the time Gaurov died, he was under a great deal of stress, and was overwhelmed by the loss of a son whom he loved dearly. He was a recent immigrant to Canada, could not speak English well, and was trying to adjust to life in a new country. His wife’s illness took a great toll on him emotionally, and there was an even greater burden on him to care for his family than he had had before. Immediately after Gaurov died, his other son, Saurob, was taken away by the Children’s Aid Society and placed in the care of relatives. The Applicant did his best to help the police with their investigation. From the outset, he explained the circumstances leading to his son’s death, hoping to be provided with answers as to why he had died. Each time he spoke to investigators, he emphatically denied any wrongdoing in relation to Gaurov’s death. 26. When he was charged with murdering his son, the Applicant felt extremely confused, ashamed, distressed, and concerned for the well-being of his wife and surviving son. He continued to deny any involvement in Gaurov’s death. When his lawyers told him about the plea he was being offered by the Crown, they told him it was an excellent offer, and explained to him that even a conviction for manslaughter would almost certainly result in a sentence of several years in prison. They explained to him the evidence against him, and the expert opinion of Dr. Smith, whom they described as a “God” in child deaths. They explained the consequences on his status in Canada – if convicted of murder or manslaughter he was almost certain to be deported, but if he accepted the plea offer, he would likely be able to remain in Canada with his family. 27. Above all, the Applicant decided to accept the plea in order to retain custody of his surviving son, Saurob. He understood that once he resolved the charges, the Children’s Aid Society would eventually agree to return Saurob to the family. The foster parent described Saurob as an easy child to care for. During his time in foster care, Saurob visited with his parents and other relatives. The foster parent reported that Saurob would whine most of the time during these visits. It was felt that 17 months old Saurob was experiencing trauma as he was missing his parents and grieving for them, and because he was suddenly placed in totally unfamiliar and culturally different surroundings where there was even a language difference. This situation appeared to be very stressful for Saurob. However, Saurob appeared to be a rather healthy child. On April 3, 1992, Saurob was placed in the care and custody of relatives. Saurob and his primary caregiver returned from India in May 1993, and the parents subsequently reunited. There was no indication of volatility, or potential dangerous behaviour on the parents’ part toward Saurob. Saurob was seen as a secure and well-cared for child in his parents’ care. The Kumar family file was terminated on September 7, 1993. 28. The Applicant also felt an enormous responsibility to be able to keep his job and continue to support his family. The Applicant has stated that pleading guilty to causing the death of his son, Gaurov, something that he did not do, was the hardest decision he has ever had to make, and one that he has thought about every day since. He has always vehemently denied that he ever did anything to cause his baby’s death. Next Post: Affidavit of Craig continued: "Developments in the Case from 2005 to the Present: The Proposed Fresh Evidence;"
"IN HIS APPLICATION, MR. KUMAR CONTENDS THAT HE WAS EFFECTIVELY FORCED TO PLEAD GUILTY, RATHER THAN FACE TRIAL TESTIMONY FROM THE COUNTRY'S LEADING FORENSIC PATHOLOGIST - CHARLES SMITH. THE NOW-DISCREDITED DR. SMITH WAS TO TESTIFY FOR THE CROWN THAT GAUROV WAS A VICTIM OF SHAKEN BABY SYNDROME - A POPULAR DIAGNOSIS AT THE TIME - WHICH IS NOW IN SERIOUS QUESTION IN THE FORENSIC PATHOLOGY COMMUNITY. REFERRING TO THE CONTROVERSY, JUDGE ROSENBERG SAID YESTERDAY: "NEW EVIDENCE HAS NOW COME TO LIGHT CASTING SERIOUS DOUBT ON THE VALIDITY OF THE FINDINGS OF DR. SMITH." Kirk Makin reports in today's Globe and Mail that Justice Marc Rosenberg has given the green light to Dinesh Kumar's application to appeal his 1993 conviction. Makin has been covering the Goudge inquiry from the outset and is the author of "Redrum The Innocent", an extraordinary account of the wrongful conviction of Guy Paul Morin, published by Penguin in 1992. "Mr. Justice Marc Rosenberg said he found it "very understandable" that Dinesh Kumar accepted a plea bargain from the Crown in 1993, which resulted in him getting a 90-day sentence for criminal negligence causing death," it continues. "Judge Rosenberg said the plea offer was "exceedingly lenient," considering Mr. Kumar faced a term of life imprisonment if convicted for the murder of his child, Gaurov. "It is manifestly in the interests of justice that an extension of time be granted in these unusual circumstances, notwithstanding the long passage of time," Judge Rosenberg said. In his application, Mr. Kumar contends that he was effectively forced to plead guilty, rather than face trial testimony from the country's leading forensic pathologist - Charles Smith. In another significant move yesterday, Crown counsel Gillian Roberts told the court she did not oppose reopening Mr. Kumar's appeal - a concession that indicates the Crown sees merit in his appeal. After the brief hearing, Mr. Kumar - who was accompanied by his wife, Veena, his son, Saurob, and several relatives - expressed delight at the outcome. "This is a great day now," he said in an interview. "I am happy. It is a very good thing for us." Defence counsel James Lockyer said he will file Mr. Kumar's appeal immediately. "I think that the way Justice Rosenberg spoke was very encouraging," he said. "The next step is to sit down with the Crown and sort out where we go from here." Mr. Lockyer said he is hoping the Crown will simply agree to Mr. Kumar being exonerated, without both sides having to go to the trouble and expense of seeking expert opinions from forensic pathologists abroad. "I would like Mr. Kumar's name to be cleared as soon as possible," he said. Five weeks after his birth, Gaurov screamed in his sleep one night. Mr. Kumar told police that he rushed over to the child's crib to find him gasping and looking bluish. Doctors determined later that night that Gaurov was brain-dead. A day later, on March 20, 1992, he was removed from life support. On June 26, 1992, Mr. Kumar was arrested for second-degree murder. The real cause of Gaurov's death might never be determined. In a brief to the court, Mr. Lockyer and co-counsel Alison Craig stated that Dr. Smith should have realized that shaken baby syndrome was not even a legitimate diagnosis at the time, since one of three indicators that must be present for such a diagnosis - retinal hemorrhages - was absent." "PATHOLOGIST PROFESSOR PETER BERRY, FOR THE PROSECUTION, SAID IN HIS OPINION THE TWO CHILDREN HAD BEEN SUFFOCATED AND WERE NOT VICTIMS OF SUDDEN INFANT DEATH SYNDROME OR COT DEATH. HEALTH WORKER CECELIA CLACK TOLD THE COURT THAT ANTHONY HAD SHOWN NO SIGNS OF WANTING TO BOND WITH OR CARE FOR HER CHILDREN. SHE HAD VISITED THE DEFENDANT SHORTLY AFTER THE BIRTH OF HER FIRST CHILD AND ADVISED HER TO SEEK HELP FROM SOCIAL SERVICES TO DEVELOP PARENTING SKILLS. UNDER CROSS-EXAMINATION FROM MR DUNKELS, ANTHONY DENIED KILLING HER SON, MICHAEL, TO "GET SYMPATHY" FROM HER HUSBAND, DEAN, FROM WHOM SHE HAD RECENTLY SEPARATED." Donna Anthony is another British woman who was convicted of killing her babies on the evidence of Dr. Roy Meadow. "Donna Anthony is a British woman from Somerset who was jailed in 1998 having been wrongly convicted of the murder of her two babies," the Wikepedia account begins. "She was cleared and freed after spending more than six years in prison," it continues. "She was one of several women at the centre of high-profile cases where evidence given by the controversial paediatrician Professor Sir Roy Meadow led to convictions of mothers who reported more than one cot death. Anthony's daughter died in February 1996, at the age of eleven months. Her four-month-old son died in March 1997. In November 1998, twenty-five-year-old Anthony was convicted of murder and sentenced to life imprisonment, following a trial in which it was suggested that she had smothered her son in order to get sympathy from her estranged husband. She made an unsuccessful appeal against her conviction in 2000. In January 2003, the conviction of Sally Clark — jailed for life for the murder of her two sons — was quashed. In June that year, Trupti Patel was acquitted of murdering her babies. In December, Angela Cannings was cleared after spending more than a year in prison for the murder of her sons. The prosecution in all four cases had relied on evidence supplied by Sir Roy Meadow, who said that the chances of two babies dying of natural causes within the same family were one in 73 million. Meadow's evidence was later discredited, and he was subsequently struck off by the General Medical Council (though he was reinstated on appeal). Following the overturning of Angela Cannings's conviction, twenty-eight cases, including that of Donna Anthony, were referred to the Criminal Cases Review Commission (CCRC), and Anthony was freed in April 2005." By way of juxtaposition, here is the BBC report of Anthony's sentencing hearing published on-line on Tuesday 17, November, 1998, under the heading, "Mother jailed for killing her babies." "ANTHONY SHOWED NO SIGN OF WANTING TO CARE FOR HER BABIES, COURT TOLD;"
"A young mother has been given two life sentences for murdering her two babies," the BBC story began. "Anthony's daughter Jordan died in Yeovil District Hospital in February 1996, although doctors initially believed she had been a victim of cot death. When her second child, Michael, died in March 1997 and medical examination proved inconclusive, police began an investigation. For the prosecution, Paul Dunkels QC said Anthony, from Southville, in Yeovil, smothered her children to take them "to the very edge of the line that divides life and death". After both incidents she tried frantically to revive the babies, but they both died in hospital in Yeovil. She had behaved in this way to attract attention or sympathy, or perhaps out of resentment towards her babies, or possibly due to an intricate combination of both. Anthony denied doing anything to harm her children and claimed she loved them "to death". Jordan was admitted to hospital four times over a six-month period when Anthony claimed she had stopped breathing, the court heard. Pathologist Professor Peter Berry, for the prosecution, said in his opinion the two children had been suffocated and were not victims of sudden infant death syndrome or cot death. Under cross-examination from Mr Dunkels, Anthony denied killing her son, Michael, to "get sympathy" from her husband, Dean, from whom she had recently separated. Anthony described in detail how she found both her children after they had stopped breathing and her frantic attempts to revive them. But paramedics called to her house in Yeovil on the occasion of Michael's death found him cold with dilated eyes "like he had been dead some time". Passing sentence, Mr Justice Astill said: "You deprived your two young children of the right to live and it is difficult without knowing much more why you should have done this. He said Anthony was a "very damaged young woman" and that he would be calling for an investigation into the events in her life that may have brought her to commit the crimes. The judge continued: "It is a tragedy for those two children. It is a tragedy also for you. But I must pass upon you now the only sentence that I can pass by law. I have no choice." After the hearing Anthony's estranged husband Dean said: "With the verdict that was given I hope my children can now finally be at peace and all the people involved in the case can start rebuilding and get on with their lives." Detective Inspector Steve Foster, of Avon and Somerset Police, said: "It is a sad case and it is sad for the family and the two children. "But at the end of the day we have done a professional job in putting the facts before the court. It was a difficult case and a sensitive case and that's all one can say."" "IN THE INTERVIEW, MR. KUMAR SAID THAT HE LONGS ONLY TO RESTORE HIS REPUTATION; THAT HE TRIES NOT TO THINK ABOUT THE PROFOUND EFFECT DR. SMITH'S CONCLUSIONS HAD ON HIS FAMILY. "I DON'T NEED TO SAY ANYTHING ABOUT HIM," MR. KUMAR SAID. " HE IS GOING TO GET PUNISHED BY GOD." 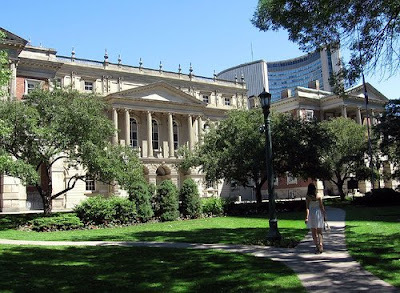 The Ontario Court of Appeal is once again confronting the chaos inflicted on Ontario's Justice system by Dr. Charles Smith. As Justice reporter Kirk Makin set out in the Globe and Mail on May 26, 2008, the appeal has been brought by Dinesh Kumar who's son died sixteen years ago. "After learning that the country's leading forensic pathologist - Charles Smith - was going to testify against him at his trial for murder in the death of his five-week-old baby, Dinesh Kumar realized his chances of an acquittal were minuscule," Makin's story begins. "My lawyers told me that whatever he said, the court would make their decision because of it," Mr. Kumar said, in his first public statement since his 1992 conviction. "My lawyer told me that Dr. Smith was like a god in court. The whole thing was up to him,"" the story continues. "Resigned to his fate, the 42-year-old man accepted an extraordinarily lenient plea offer from the Crown. He admitted to a crime that Mr. Kumar insists he did not commit - shaking his baby, Gaurov, to death. His sentence was 90 days in jail for criminal negligence causing death - a far cry from the term of life imprisonment he had faced. Sixteen years later - with Dr. Smith's reputation reduced to ashes and many of his court findings in great doubt - Mr. Kumar is returning to court in search of exoneration. Tomorrow, he intends to tell an Ontario Court of Appeal judge that his guilty plea was the act of a desperate man who was terrified of spending his life behind bars. "I want to show people that I didn't do anything to my son," Mr. Kumar said in an interview. "This is always on my mind. I came to this country for its good opportunities - and then, this happened to me. I have felt a great sadness inside. Almost every night, I have been crying. It changed my life totally." The Kumar case was among 20 cases Mr. Justice Stephen Goudge has scrutinized recently at an inquiry into errors Dr. Smith made during his two-decade reign as Ontario's top forensic pathologist. As part of the application to reopen the case, Association in Defence of the Wrongly Convicted lawyers James Lockyer and Alison Craig intend to argue that Dr. Smith's theory - that baby Gaurov was a victim of shaken baby syndrome - is scientifically unsustainable. "Some medical experts have gone so far as to suggest that the condition of shaken baby syndrome is a medical myth," the lawyers maintain in a brief to the court. In his affidavit, Mr. Kumar states that his lawyer - David Gorrell - urged him to accept the Crown's extraordinary offer in 1992. He said that he was petrified at the prospect of being deported or having his other son, Saurob, taken away permanently. "I could not allow my wife to bring up Saurob without me," he said in the affidavit. "I could not conceive of losing him too. I wanted to get everything over with. It was the hardest decision I ever had to make." Mr. Kumar had emigrated from India just two years earlier. He married, and Gaurov was born shortly afterward. Just five weeks later, Gaurov screamed in his sleep one night. Mr. Kumar said he rushed over to the child's crib to find him gasping and bluish. Doctors determined later that night that Gaurov was brain-dead. A day later, on March 20, 1992, he was removed from life support. There was little time for Mr. Kumar and his wife, Veena, to mourn. Based on Dr. Smith's autopsy conclusions, police quickly homed in on Mr. Kumar as a killer. On June 26, 1992, he was arrested. Mr. Kumar said that after their ordeal he and his wife decided not to have any more children, for fear they might lose them. "We were completely devastated and dejected," Mr. Kumar said in his affidavit. "I carry a photograph of Gaurov everywhere I go. We cry for him. I think of him every day. "I love him, cared for him, and would never have done anything to hurt him. I did not, as was claimed, shake him at all. I was a gentle, careful, loving father to him at all times without exception." The real cause of Gaurov's death might never be solved. In their brief, Mr. Lockyer and Ms. Craig state that Dr. Smith ought to have realized that shaken baby syndrome was not even a legitimate diagnosis at the time, since one of three indicators that must be present for such a diagnosis - retinal hemorrhages - was absent. They said that bleeding in Gaurov's brain lining at his autopsy could have been the result of a birth injury that reopened and bled again. In the interview, Mr. Kumar said that he longs only to restore his reputation; that he tries not to think about the profound effect Dr. Smith's conclusions had on his family. "I don't need to say anything about him," Mr. Kumar said. "He is going to get punished by God.""